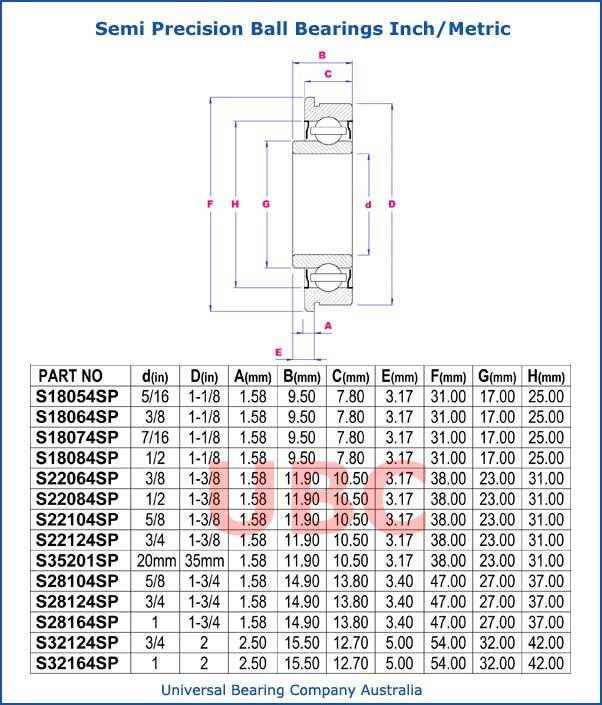 Semi precision ball bearings rubber sealed both sides zinc plated all external surfaces Universal Bearings Company UBC Precision ball bearings are made of material that is subjected to severe stress reversals. In a precision ball bearing the balls - bear the weight of the load allowing the machine to run smoothly. Precision bearings can move in both linear and radial directions but only handle smaller loads. Precision ball bearings consist of an inner ring and outer ring inner and outer tracks and balls that fit inside the tracks. The weight of the load is sent from the outer track to the balls and from the balls to the inner track. In this way the friction between the moving parts is lessened. Precision ball bearings have a longer lifespan than regular ball bearings. They are also quieter and result in less vibration. Precision bearings require little maintenance can perform quietly at high operating speeds.